IIT Roorkee "01/01/2009 to 03/11/2011"
Areas of Research Interest: Power Electronics - Converters, PWM Techniques, Applications to Lighting System, Drives, Power Quality Issues etc. Message: Imparting valuable knowledge is a moral & social responsibility and a great work of the human for the betterment of nature and everyone's life. Nothing beyond Hard-work, Honesty and Sincerity. So, the only way to successful, meaningful and peaceful life is hard-work with sincere commitment, honesty & unselfish. J11. Ramanjaneya Reddy Udumula, Narasimharaju B L, Asif Md, (2018) “Voltage Mode Control DCM HSD-CIB PFC Converter for HB-LED Lighting Applications” (Open Access, WoS) Journal of Power Technologies 98 (4) (2018) Pp.305–313. J10. Narasimharaju.B.L, Ramanjaneya Reddy U, Raveendra Dogga, Design and Analysis of Voltage Clamped Bidirectional DC-DC Converter for Energy Storage Applications, IET Journal of Engineering, 02-April-2018, Vol:2018, No.7, Pp-367-374. J09. Vijay Babu K, Narasimharaju.B.L, D. M. Vinod Kumar, (2017) "Performance Investigation of Simplified PWM MPPT Approach for Direct PV-fed Switched Reluctance Motor in Water Pumping System", IET Electric Power Applications, Vol.11, No.9, 2017, pp.1645 - 1655. J08. Ramanjaneya Reddy U, Narasimharaju.B.L, Vijay Babu K "( Dec 2016) High step-down Dual output Light Emitting diode driver , Int., Journal Of Renewable Energy Research (IJRER), Vol.7, No.1, 2017, pp.157-169. J07. Ramanjaneya Reddy U, Narasimharaju.B.L, (Nov 2016)"A Cost Effective Zero Voltage Switching Dual Output LED Driver", Trans. on IEEE Power Electronics, Vol.32 , No.10 , 2017, pp.7941-7953 , Oct 2017. J06. Ramanjaneya Reddy U, Narasimharaju.B.L, (Sept 2016) "Single-Stage Electrolytic Capacitor less Non-Inverting Buck-Boost PFC Based AC-DC Ripple Free LED Driver", IET Power Electronics, Vol.10, No.1, pp. 38-46, Jan 2017. J05. Ramanjaneya Reddy U, Narasimharaju.B.L, (July 2016) "Improved Efficiency Coupled Inductor-Buck AC-DC Light Emitting Diode (LED) Driver", IEICE Electronics Express (ELEX), Vol.13, No.16, 2016, pp.1-6. J04. Vijay Babu K, Narasimharaju.B.L, D. M. Vinod Kumar, (2016) "Performance Evaluation of Switched Reluctance Motor PWM Control in PV-fed Water Pump System", Int., Journal Of Renewable Energy Research (IJRER), Vol.6, No.3, 2016, pp. 941-950. J02. Narasimharaju.B.L, S. P. Dubey, S.P.Singh, (2012) Design and Analysis of Coupled Inductor Bidirectional DC-DC Convertor for High Voltage Diversity Applications", IET Power Electronics, Vol. 5, Iss. 7, pp. 998-1007, 2012. IF :1.683. J6. Narasimharaju B. L, et. al., (2016)"Bidirectional AC-DC Converter and DC-DC Converter for Charge/Discharge Applications", (RIJEEE), Publishing India Group Vol.1, No.2, 2016, pp.11-17. J5. Narasimharaju B.L., et. al. (2015), Space-vector Based Equal Switching Strategy for Three-level Open- end Winding Induction Motor Drive, The Journal of CPRI, Vol.10, No.2, June 2014. J3. Narasimharaju B.L., et. al., Investigation of Device Temperature on Power Electronics Switches used in open-end winding induction motor drive for Alternate fixed-bias inverter scheme, International Review of Electrical Engineering ,Vol. 9, No. 1, pp. 36 - 41, Feb 2014. J2. Narasimharaju.B.L, S. P. Dubey, S. P. Singh, (2011) "Performance Evaluation of Fuzzy Logic Controlled Bidirectional DC to DC Converter", International Journal of Computing Science & Communication Technologies, Vol.3, No. 2, pp. 598- 603, January 2011. J1. Narasimharaju.B.L, S. P. Dubey, S. P. Singh, (2010) "Analysis of PI controlled Bidirectional Converter for Discharge and Charge Applications", International Journal of Recent Trends in Engineering and Technology(IJRTET), Academic Publisher, Vol. 4, No. 3, pp. 7-11, November 2010. V.K. Satyakar Veeramallu, Porpandiselvi S, Narasimharaju B.L., Ch Kasi Ramakrishna Reddy, High Efficiency Reduced Ripple Three Phase Series Resonant Converter for LED Lighting Applications, IEEE International Conference on Electrical, Electronics, Communication, Computer, and Optimization Techniques (ICEECCOT), pp. 78-83, 2018, India. Satyakar Veeramallu, Porpandiselvi S, Narasimharaju B L & Mounika Dasohari, Reduced Ripple Current Three phase Parallel Loaded Resonant Converter for LED Lighting, IEEE International Conference on Inventive Computing and Informatics (ICICI 2017), pp. 307- 311, November 23-24, 2017, India. Vijay Babu K, Narasimharaju B L & D M Vinod kumar, "Essence of Variable DC PWM Control for Switched Reluctance Motor in Direct PV-fed Water Pump", IEEE India Int. Conf. on Power Electronics - IICPE 2016, Thapar University, Patiala, pp.1-6 , 17-19 Nov 2016. Ramanjaneya Reddy U, Narasimharaju B. L, "Unity power factor Buck-Boost LED driver for wide range of input voltage application" IEEE India Conf. INDICON-2015, JMI, Delhi, India, pp. 1 -5, 17 -20 December 2015. Narasimharaju B. L, Goutham Bharma, Ramanjaneya Reddy U,Vijay Babu K, "Modeling and Analysis of Voltage Controlled Positive Output Synchronous buck-boost converter" IEEE India Conf. INDICON-2015, JMI, Delhi, India, pp. 1 -5, 17 -20 December 2015. Narasimharaju B. L, Divya. P, Ramanjaneya Reddy U, Vijay Babu K, S. P Dubey, "Bidirectional AC-DC Converter and DC-DC Converter for Charge/Discharge Applications", Intl. Conf. Advanced Research Applications in Engineering , Technology , Science & Management, Shaastrarth 2015, 29th -30th June 2015, pp.1-5. Narasimharaju B. L, Ramanjaneya Reddy U "Enhanced Closed Loop Voltage Control of Buck Converter for Improved Performance", IEEE India Conference INDICON-2014, Pune, India, pp. 1 -5, 11 -13 December 2014. URL: http://ieeexplore.ieee.org/stamp/stamp.jsp?tp=&arnumber=7030630&isnumber=7030354. 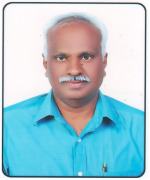 Narasimharaju B. L, Venkata Prahlad V, et. al., "Optimized Dual Active Bridge Bi-Directional DC-DC Converter for UPS Application", Power Electronics, Drives and Energy Systems (PEDES-2014), Power India, IEEE-International Conference, IIT Bombay, India, pp. -, December 16 -19, 2014. Narasimharaju B. L, S. P. Dubey, and S. P. Singh, "A Review on Bi-directional DC-DC Converters", Proc. International Conference ICAECT2010, MIT Manipal, India, pp. 471-480, January 7 - 10, 2010. Narasimharaju B. L, S. P. Dubey and S. P. Singh, "Performance Analysis of a Coupled Inductor Bidirectional DC to DC Converter", Proc. 4Th International Conference CERA2009, IIT Roorkee, India, pp. 1 (26) - 5(26), February 19 - 21, 2010. Narasimharaju B. L, S. P. Dubey and S. P. Singh, "Mathematical Modelling and Analysis of Bidirectional DC to DC converter" Proc. International Conference ICSDC-2010, MIT Manipal, India, pp .485-490, August 19 - 22, 2010. Narasimharaju B. L, S. P. Dubey, and S. P. Singh, "Performance Evaluation of Fuzzy Logic Controlled Bidirectional DC to DC Converter" Proc. 4Th IEEE Conference ICACCT2010, APIIT, Haryana, India, pp. 486-491October 30, 2010. Narasimharaju B. L, S. P. Dubey, and S. P. Singh, "Coupled Inductor Bidirectional DC-DC Converter for Improved Performance," Industrial Electronics, Control & Robotics (IECR), IEEE 2010 International Conference, NIT Rourkela, India, pp.28-33, December 27 - 29, 2010. S. P. Singh, Narasimharaju B. L, and N. Rajesh Kumar, "Performance analysis of AC-DC power converter using PWM techniques" Energy Procedia, ELSEVIER, Vol. 14, 2012, pp. 880 -886. Tejaswi R, Narasimharaju B. L, Janaki M, "An Integrated PFC AC-DC Converter", National Systems Conference (NSC-2016), NIT Warangal, 4 - 6 Nov 2016, pp. 1-6. Narasimharaju B. L, Shaik Rafi,Vijay Babu K, Ramanjaneya Reddy U, ï¿½? ?Modulation Index based Application Selectivity of Dual Source-Fed Open-end Winding Induction Motor Driveï¿½? ?, Proc. National Conf. AECT-2016, MIT Manipal, India, pp. -, 28th - 30th January 2016. Karthik .K, Ramanjaneya Reddy U, Narsimharaju B. L, Srinivasa Rao S, "Performance Analysis of Single H-Bridge Multi-Level Inverter", Proc. National Conference AECT-2015, MIT Manipal, India, pp. -, 23rd - 24th January 2015. Ramanjaneya Reddy U, Narsimharaju B. L, Vijay Babu K, "Hysteresis controlled power factor correction boost converter for LED lamp Load", Proc. National Conference AECT-2015, MIT Manipal, India, pp. -, 23rd - 24th January 2015. Narasimharaju B. L, "Nonlinear Loads and Harmonics Role in Power Quality Issues", Proc. National Conference AECT-2013, MIT Manipal, India, pp. 1-6, 7th - 9th February 2013. Narasimharaju B.L and Rajalakshmi Samaga .B.L, "PLC Based Star-Delta Starter with Over-Current Safety Feature for an Induction Motor", National System Conference record NSC-2007, MIT, Manipal, India, pp. 1-4, Dec 14-15 2007. Narasimharaju B.L and G.S.N. Raju, "Optimization of Induction Heating System Topology Review", National Conference record AECT-2007, MIT Manipal, India, pp. 44-50, March 2007. Narasimharaju B. L and G.S.N. Raju, et al., "High Frequency Current Controlled Power Supply Using Fly-Back Converter", National conf. record PCID-2006, BIT Sathyamangalam, India, pp. 54-57, March 24 - 25, 2006. 1. Arun Kumar, EED, NIT Mizoram: Modeling and Simulation Analysis of Soft switching DC-DC converters for PV integration. 2. Joseph V, EED, NIT Mzoram : Modeling and Simulation Analysis of Non-inverting Buck-Boost Converter. National conf. on Power Conversion and Industrial Drives (PCID-2006), BIT Sathyamangalam, 24-25 March, 2006. National Workshop on "Innovative Trends in Energy Efficient Building Lighting", 11th August 2007 MIT Manipal. National System Conference (NSC-2007), MIT, Manipal, Dec 14-15 2007. National Seminar on"Excellence in Technical Education through Innovation", MIT, Manipal, 17-19, Dec 2007. IEEE workshop on "Recent Advances in Sustainable Energy", IIT Delhi on 15Th to 16Th December 2009.
International Conf. IC-AECT 2010, MIT Manipal, India, 07 - 10 , January 2010. IEEE Conf. on Control and Embedded Systems (ICPCES2010), 29th Nov - 1st Dec. 2010, MNIT Allahabad, India. IEEE Conf. on Electron Devices and Solid-State Circuits (EDSSC2010), 15-17 Dec. 2010, University of Hong Kong. IEEE Conf. on Power Electronics, Drives and Energy Systems (PEDES), 20-23Dec. 2010, IIT Delhi, India. Workshop on "Modelling, Analysis and Control of Mechatronic Systems", 27Th - 29Th July 2012, NIT Warangal. National Conference AECT2013, MIT Manipal, India, 7Th to 9Th February 2013. Workshop on "Good Laboratory Practice", 13th September 2013, NIT Warangal. Workshop on Open Source Softwares, 14-15, March 2014, NIT Warangal. Workshop on " NI Training on LAB-VIEW Software", 26th September 2014, NI Team, Taj Hotel, Hyderabad. Workshop on " Rapid Prototyping Systems" 27th September 2014, NIT Warangal. National Conference AECT-2015, MIT Manipal, India, 23rd - 24th January 2015. NaMPET @ NITW Short term course on " Digital Signal Processor Controlled Power Electronic Converters & Drives (DSPEC-2015), 28-30th, September 2015, NITW. 7th IEEE conf. on Technology for Education (T4E-2015), 10-12 Dec, 2015, NIT Warangal. Three Day TEQIP-II National Conference on " Sharing of achievements and Innovative ideas of CoEs" 21st to 23rd April 2016, Siddaganga Institute of Technology Tumkur & SPFU Bangalore, Karnataka. National Systems Conference (NSC-2016), 4 - 6 Nov 2016, NIT Warangal. Two-day National Workshop on "Developing OER-enabled e-Learning Courses Using Moodle" during 18th - 19th March 2017, NIT Warangal. One Week GIAN Course High Voltage Gain Soft-Switching Advanced Current-Fed Technologies For Microgrid & Electric Transportation, Department of EEE, UCE, Osmania University, Hyderabad, from 18th DEC to 23rd DEC, 2017). Director Nominee, PG- Auto Mobile Engineering (MED), Project Evaluations, June 18th & 19th 2018. Member, Dissertation Evaluations Part-A & B, II M.Tech (PED) AY-2017-18, Sem-I & II. Faculty In-charge for Control System Lab, EED, June 2012 to 24/10/2018. Advisor , M/s. Zunikenergies (Erstwhile M/s. Arka Energies), Pre-Incubated startup by IIT Roorkee. Since September 2017. Reviewer of IEEE Transactions (Power Electronics, Industrial Electronics, Industry Applications etc) & IET Power Electronics, Electric Power Applications etc.